One of the perks of working with the One2One Network is all the great music you get to sample. Some of the music I may have never listened to if it wasn't for the opportunity provided by this wonderful group. The most recent opportunity was a sample of the Rock of Ages soundtrack. 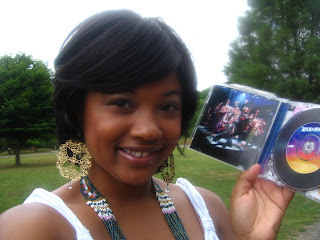 I was thrilled to listen to this CD because my god sister/cousin/bff is very involved in theater. My appreciation and awareness for this art has increased tremendously because of her. You may notice a few of the cast members. Most noticeable is Constantine Maroulis, a contestant in the American Idol competition. He plays Drew in the show. 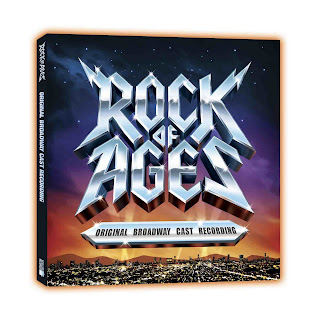 New Line Records just hammered the in-store release of the Original Broadway Cast Recording of five-time Tony Award nominated "ROCK OF AGES." For those of you not in the know, Rock of Ages is the new Broadway musical starring American Idol finalist Constantine Maroulis . Set in 1987 in a legendary Sunset Strip rock club, a small-town girl meets a big-city dreamer and they fall in love to the greatest metal songs of the 80's. The musical is an arena-rock love story told through the mind-blowing, face-melting hits of Journey, Bon Jovi, Styx, Reo Speedwagon, Pat Benatar, Foreigner, Twisted Sister, Poison, Asia, Whitesnake and more. Don't expect to listen to a CD filled with studio tracks. The Rock of Ages soundtrack plays like a musical without the visual effects. Listening in your car or at home, you'll feel like you are sitting center stage. If you want to purchase a copy of the album, go here. There was no monetary compensation for this review, but the item for review was provided free-of-charge. The opinions expressed in this post are in no way shaped by the provider of the product. All opinions are solely those of the blog author, Keonte'. Please use your own judgment when making a decision to purchase this product. What a great perk! I am a musical girl too (am actually releasing one this fall :) ) Found ya on MBC, please come visit! www.ajourneytotheson.blogspot.com, thanks! Thanks for stopping by my blog. I'll return the favor.